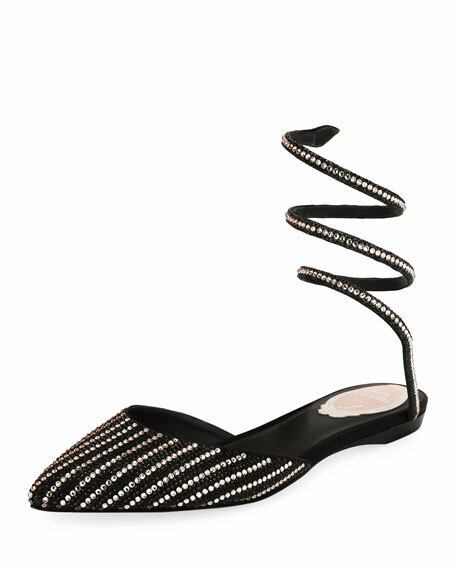 Rene Caovilla beaded satin flat. For in-store inquiries, use sku #2301209. 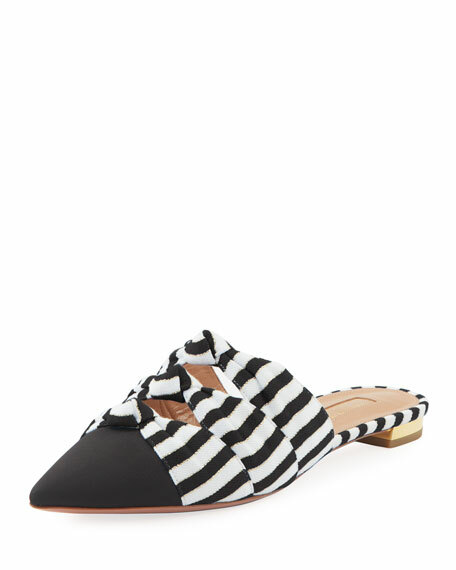 Aquazzura mule in nautical-striped grosgrain fabric. 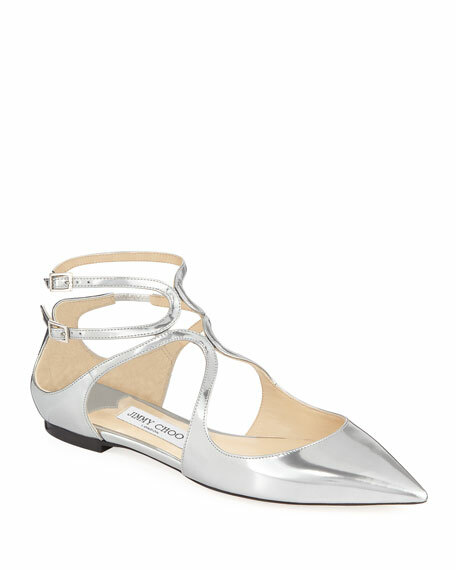 Covered flat metallic heel. Pointed toe. Knotted upper. Slide style. Leather lining and sole. 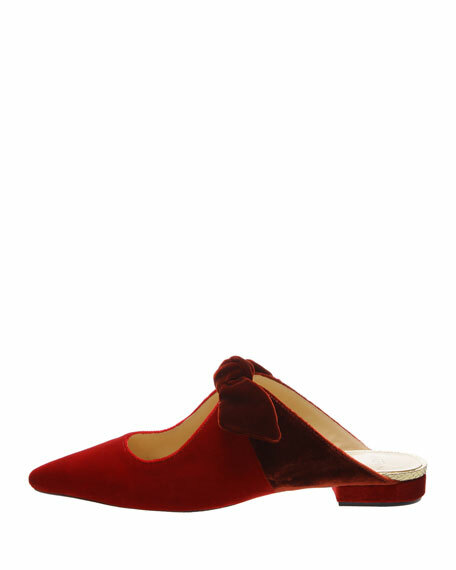 Jimmy Choo suede flat. 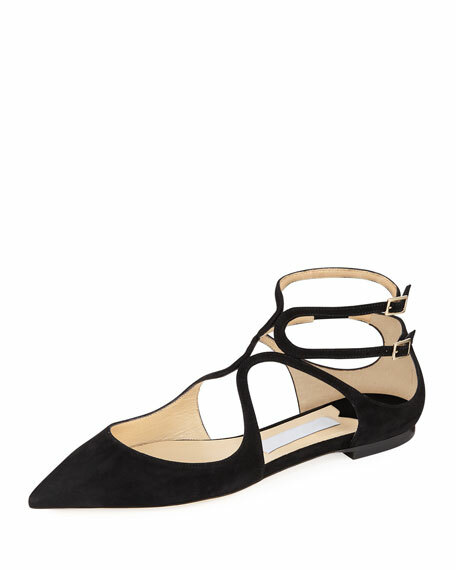 Flat stacked heel. Pointed toe. Loop-strapped caged upper. Two adjustable buckle straps. Leather lining and sole. "Lancer" is made in Italy.